Well, their appearance does sort of speak for itself. By this point, we figure you’ve either pranked your cubicle-mates or been pranked for April Fool’s Day. And if not, I suppose this was your warning. Be ready for it. We’re told Apricots Restaurant, the fancy Farmington foodie find, is offering three-course dinner specials in the pub for just $19.95. Not feeling up for a night out? The restaurant will reportedly take 20 percent off if you take the meal to go. 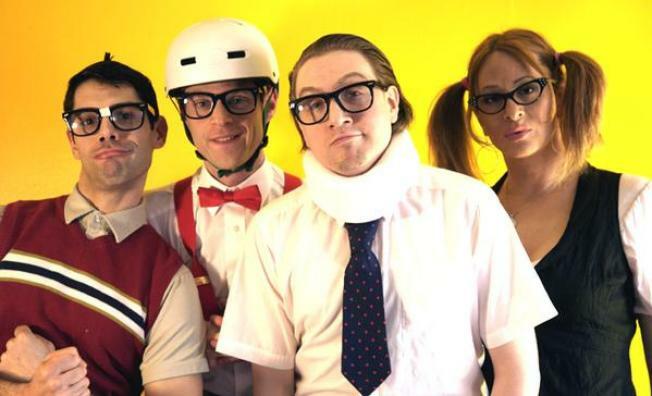 And if you’re feeling like something wacky, head to the Wolf Den at the Mohegan Sun casino and catch The Spazmatics from NYC. Their myspace.com page says their influences include Mr. T and the Tri-Lams and they sound like “Every 80s band you’ve ever loved.” That’s enough for us!